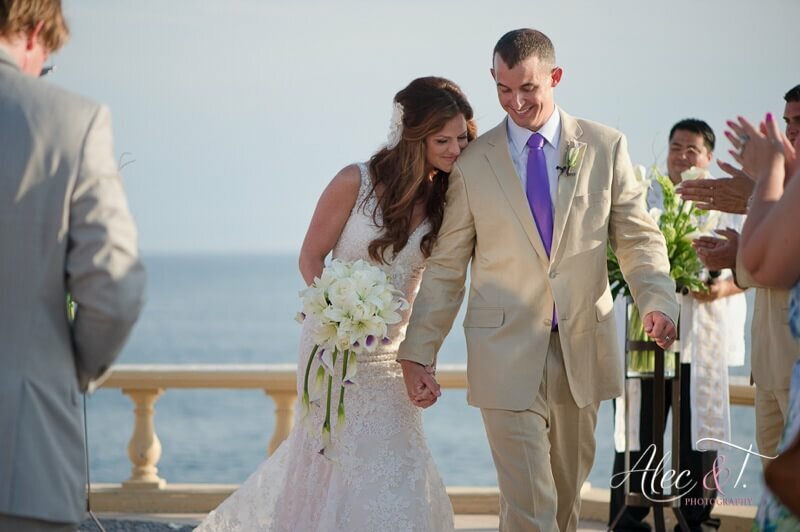 As a fitness life coach, Louisiana bride Emily knows that looking good and feeling great go hand in hand. So when she hired us to do her wedding-day hair and make-up, we were thrilled to have the opportunity! For Emily’s wedding at Sunset da Mona Lisa, we did full hair and make-up for the bride and some hair and make-up services for her bridal party. 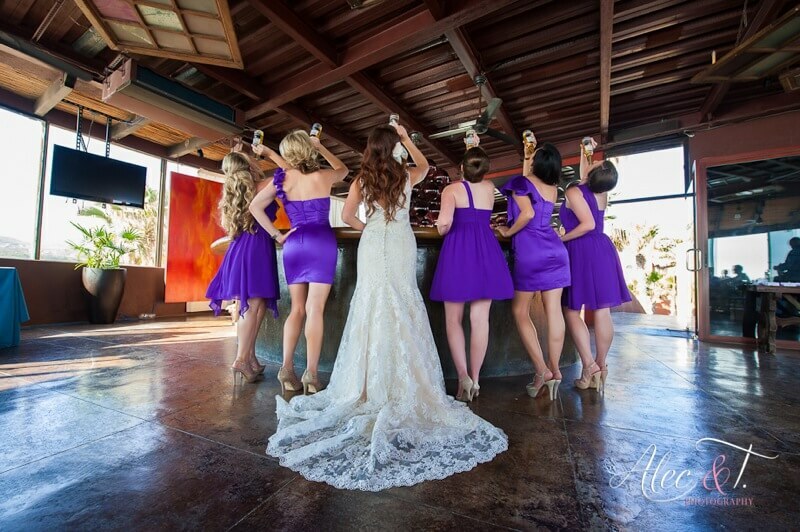 Her bridesmaids wore different dresses in a matching shade of purple, so we gave each a slightly different hairstyle. Emily’s hair was styled in loose, romantic waves that really complemented her detailed lace gown. Make-up for the entire bridal party was glamorous yet tasteful. 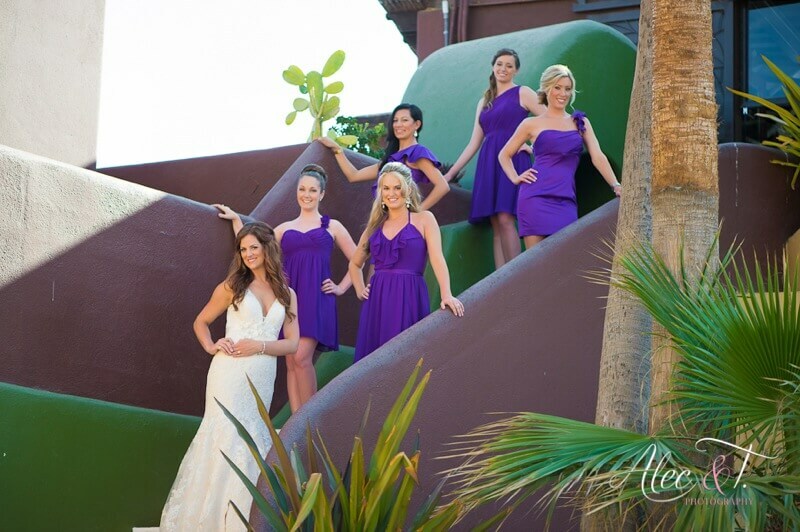 This entry was posted in Cabo Bridal Hair and Makeup and tagged beach wedding, best bridal hair in Cabo, best bridal makeup in Cabo, Bridal Hair, Bridal Makeup, Cabo bridal hair, Cabo bridal makeup, Cabo wedding, Cabo wedding downdo, Cabo wedding hair, Cabo wedding makeup, Cabo Wedding Services, Cabo wedding updo, destination wedding, flawless makeup, Sunset da Mona Lisa, Suzanne Morel, wedding hair Cabo, wedding makeup Cabo.